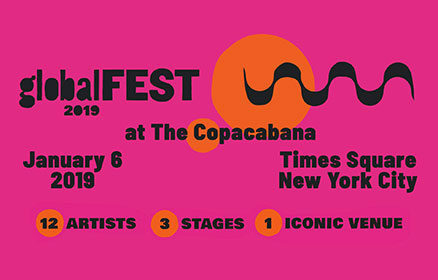 On January 6, 2019, we will return to NYC to celebrate new artists, old perspectives, and expansive cultural traditions. During this time of turbulent political change, globalFEST’s work and the work of its artists feels more urgent and more relevant to the global conversation than ever. Artists are storytellers and connectors, making the platform of this festival the start, or restart, of a long conversation between artist and audiences.